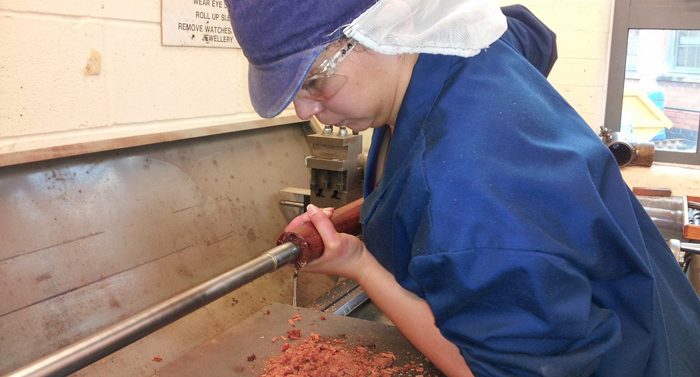 In this blog, we talk to Ana who joined us in 2016 after receiving her BA Hons in Musical Instrument Craft (Woodwind Making & Repair) from Newark Campus (Lincoln College) – the leading Repair training centre in the UK. 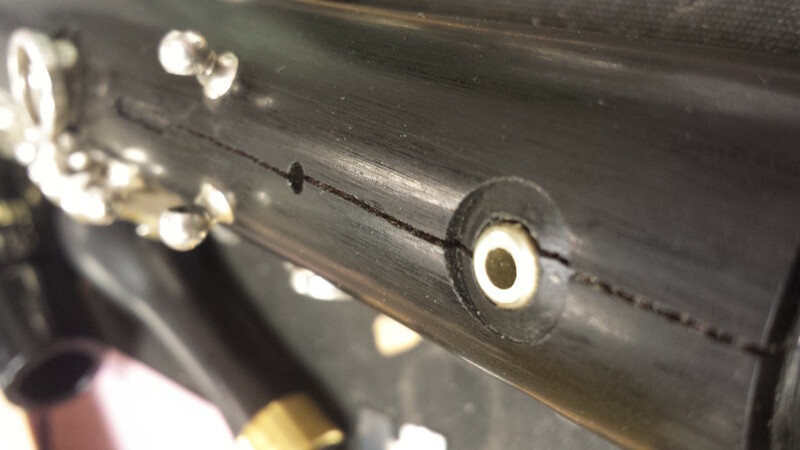 This is the story of her Bass Clarinet, yes, the one she actually made from scratch! 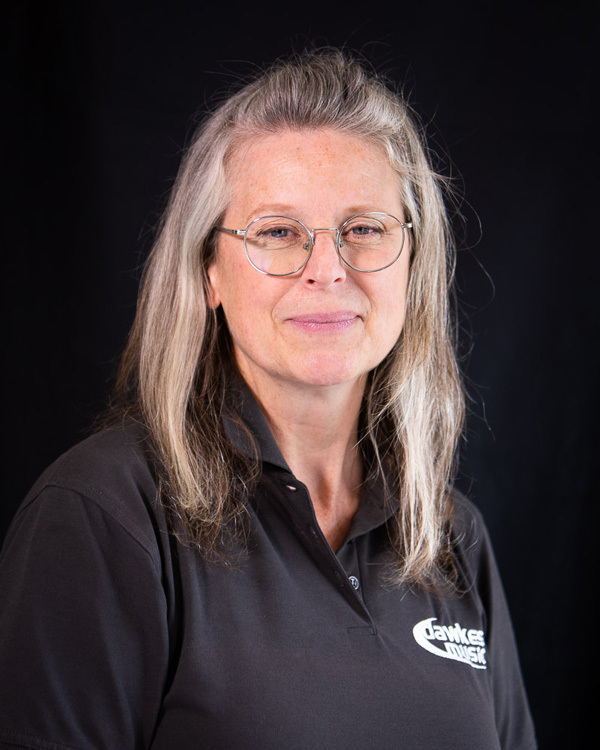 Hi, I’m Jocelyn, one of the Repair Technicians at Dawkes. I work on both woodwind and brass instruments. We wanted to take you behind the scenes in our Workshop. Here, Ana shows various stages of a Clarinet RePad in action. Normally this is a relatively straight forward job with modern instruments. However it still requires a good amount of skill in both the technical precision and in time management. We want to do a great job and keep the cost affordable for the customer. This ‘Great Bass’ recorder in C (by Mollenhauer) is a regular visitor to the Dawkes workshop. It gets a fair bit of use in a local recorder ensemble, which is after all what its there for! These instruments are really beautiful to behold and make a gorgeous haunting sound. This Buescher 400 ‘top hat & cane’ came to us as a recent purchase for general set-up. The biggest problem we found was a small split running along the bottom bow and into the low Eb tone hole. This would cause the pad to leak air from the split so it needed to be filled one way or another. The Summer of Vintage Saxes! 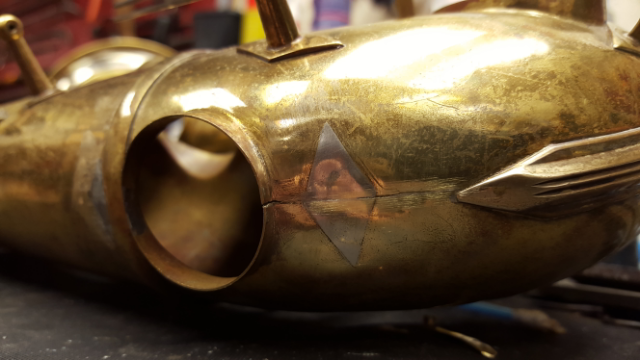 This summer we have seen a multitude of beautiful vintage saxophones come into the workshop so we thought you might like to see what we have seen and what their issues were. Have a look through, there are some real beauties! This beautiful Selmer Tenor Sax was brought in recently for some Workshop TLC. It’s serial number 22540 puts it as a very early ‘Balanced Action’ model. 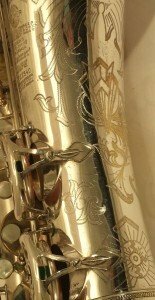 This was the first time that a Selmer had both bell keys (low B & Bb) on the front side of the sax, as we are used to seeing today. Hi All, just a little quick top tip from our workshop to get you out of squeaky problems on your clarinet. Of course many things can cause issues with your instrument which is why we recommend keeping it regularly serviced, but this little tip may get you or a pupil out of trouble! 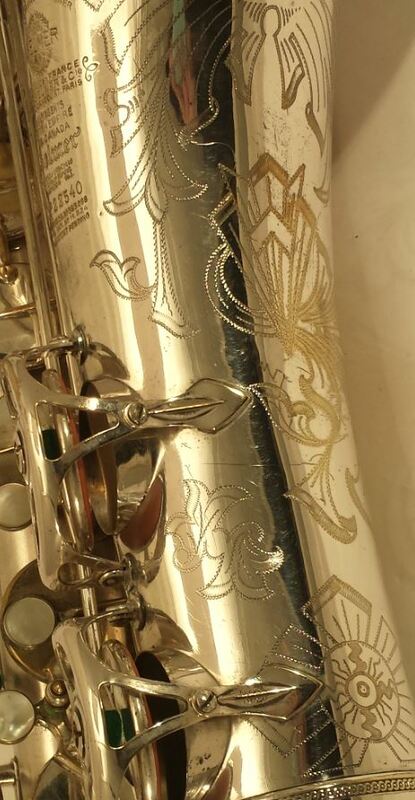 Selmer MkVI Alto Repair – Emergency!